Through extensive study of club industry data, we have identified a set of key questions club leaders should be asking as a starting point in assessing their club's financial and operational health. 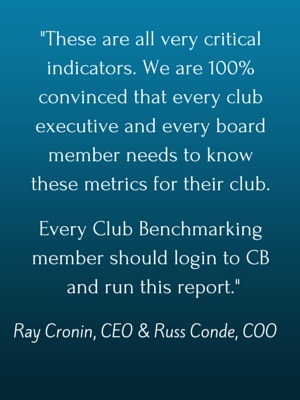 The Club Benchmarking Executive Dashboard Report presents Key Performance Indicators that answer those critical questions and provides boards and management teams with a common framework for understanding their club's business model. Use the form at right to download a sample. Club Benchmarking subscribers can generate the Executive Dashboard Report automatically including formulas and definitions for each KPI from the "My Reports" tab in their accounts. 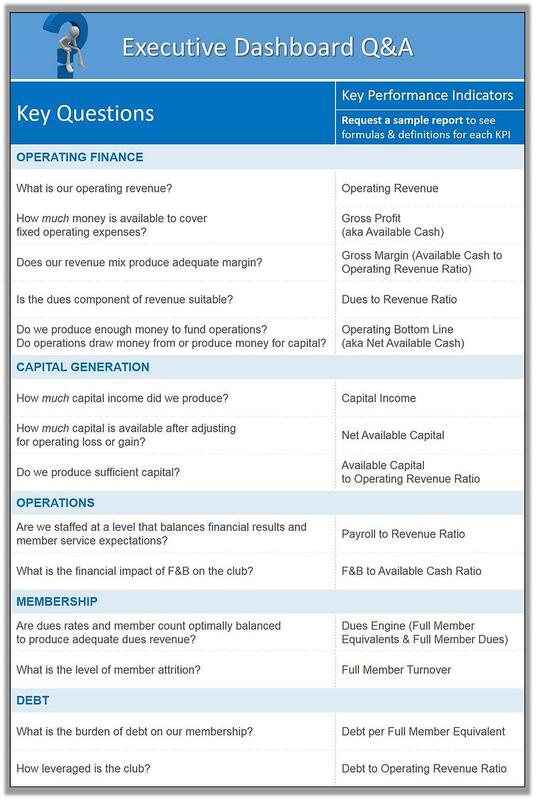 Can You Answer These Questions About Your Club? Ready to make the change to fact-based leadership?